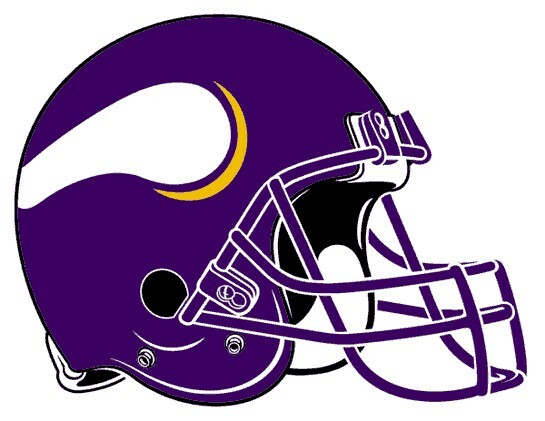 Perhaps moreso than any other team the Vikings were the biggest disappointment of the 2012 season. With a defense known for being good at worst and one of the best running backs in the NFL today in Adrian Peterson, many thought the Vikings could contend for a wild card spot (at the very least). In the aging Donovan McNabb many thought the Vikings had, at the very least, a solid QB that could regain his Philadelphia form; unfortunately this was not the case. “QB of the future” Christian Ponder was pressed into duty early in the season and while he did show promise ultimately his good play was not consistent enough to be able to help out the struggling Vikings D. The season ended on even more of a down note as their workhorse and team leader Adrian Peterson tore both his ACL and MCL in his left knee. With Peterson’s injury the future of the Vikings is more heavily shrouded than before. Their biggest needs are: WR (Percy Harvin is much better when he’s not your #1 WR), OL to replace some of their past misses and help spell some of their aging players, and perhaps DB (specifically CB) to help what was probably the worst overall DB corps for any team this past year. Luckily for the Vikings they should be able to address at least one of these positions by the time they select at #3. Their main targets will most likely be WR Justin Blackmon, who is widely regarded as a more emotionally stable Dez Bryant and far and away the most talented WR in this draft. At OL they could draft OT Matt Kalil, if he isn’t taken by the Rams the pick before them. However the most promising prospect for the Vikings may just be Morris Claiburne the CB out of LSU. Claiburne comes from a defense that played a lot of man and is more than capable of not only being able to shut down WRs (both speedsters and possession guys) but also being able to make plays on balls. Not only that but who better to teach the rookie how to make an impact from the CB position against the run than Minnesota veteran Antoine Winfield? Really the best case for the Vikings would be if the Rams trade out of the second overall pick to a team that takes QB Robert Griffin. That would allow the Vikings to have the pick of the litter at the position they deemed most important. Another possible interesting scenario could be trading Ponder for a late first rounder. They probably don’t want to give up on Ponder yet and wouldn’t get anything close to the #12 pick (the pick they used in 2011 to draft Ponder) but if they really like Robert Griffin III this could be a possibility. Nate Potter, OT Boise St, 3rd – As mentioned above the Vikings could use as many OTs as they can get as their play at OT was mediocre at best. Potter is an interesting prospect in that he has solid size and has very good hands. He’s not a mauler on the line but he is tough and could, at the very least, become a nice project for a year or two before he is ready to step in. Juron Criner, WR Arizona, mid-round – Criner’s size (nearly 6’4″) is his main asset at WR, he is tall and can hold his own against CBs. He won’t be blowing by anyone as his speed is average at best, but with his size he may not need speed that much. He is more of a possession receiver as opposed to a downfield threat, which is exactly what the Vikings need as Harvin is already their big play guy. He has played in the Pac-10/-12 and has gone up against good competition. His numbers may be inflated due to Arizona being down early and often in many games and having one of the best throwing QBs in the NCAA (Nick Foles) as his QB. Still he is a nice prospect that could become a starter in this league. Janoris Jenkins, CB North Alabama, Late 1st/Early 2nd – Even if the Vikings select Claiburne in the first they still need a lot of help covering WRs. If they don’t select Claiburne then all the better. Jenkins is your typical highly touted small school prospect. Originally signed and played at the University of Florida, Jenkins was kicked off due to a rather lengthy rap sheet. Hopefully having been kicked off and then having to transfer to a small school has taught him a lesson. His coverage skills are immaculate and even though he is a little on the smaller size his ability to play the corner position incredibly well should not come into question. 3 Comments on "Hope Springs Eternal NFL Draft Preview: Minnesota Vikings"
iam a huge fan of the vikings and cb janoris jenkins with all respect the vikings should select janoris jekins please!!!! !